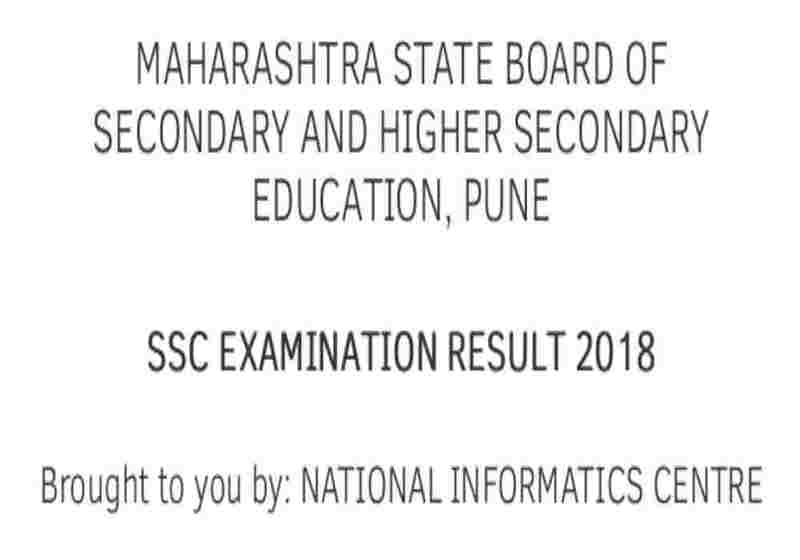 The Maharashtra Board SSC or the 10th (maharashtra ssc result 2018 or maharashtra 10th result 2018) was declared today at 1 a.m. on Friday afternoon.Out of total students appeared for exam, 89.41% of the exams have passed. Nearly 33 percent of the schools in the state have zero percent. These include Pune's 3, Nagpur 4, Aurangabad 9, 5 of Mumbai, 2 in Amravati, 4 in Nashik, 6 schools in Latur. According to media reports, 125 students have topped the examination. All these students have secured 100% marks. A total of 63,331 students have scored 90% or more. Marks has come between 85 to 90% of 86,453 students. The result of 4000 schools is 100 percent. Konkan has the highest percentage of 96 percent. The state with lowest pass percentage was Nagpur (87.27 percent). Mumbai's pass percentage is 90.41 percent. Pune's pass percentage is 92.08. Marks can be seen at mahresult.nic.in. According to board officials, this year 17.51 ​​lakh students were involved in Maharashtra Tenth. Maharashtra Board SSC examinations were held from March 1 to 24. Students of 21,986 schools of the state had joined the examination. These included 9.73 lakh boys and 7.78 girls. MSBSHSE conducted the Maharashtra State Board SSC Class 10th exam 2018 from 1 to 24 March. Students can also check their results on examresults.net/maharashtra or results.maharashtraeducation.com, maharashtraeducation.com, results.nic.in/index, maharashtra.indiaresults.com. Last year, in 2017, 17,66, 098 Maharashtra students registered for the SSC 2017 exams, out of which 16,89,239 appeared for the exams for the first time while the rest were repeat candidates. There were 4,728 exam centres in 2017 for the 9,89,908 girls and 7,76,190 boys who wrote the SSC exams 2017, a News18 report stated. Students who can't access the results on the official website can check the results on results.maharashtraeducation.com.